Start your new year off right with these decadent and crowd pleasing midnight snacks! New Year’s Eve dinner is something special – where Christmas dinner is traditional New Year’s Eve calls for culinary experiments and decadent servings, that amplify the festiveness of the evening. And Midnight is of course when everything peaks – 2017 is on the horizon, the champagne is popping and we all enjoy a little snack with the bubbles and wish each other a happy New Year before enjoying the fireworks. 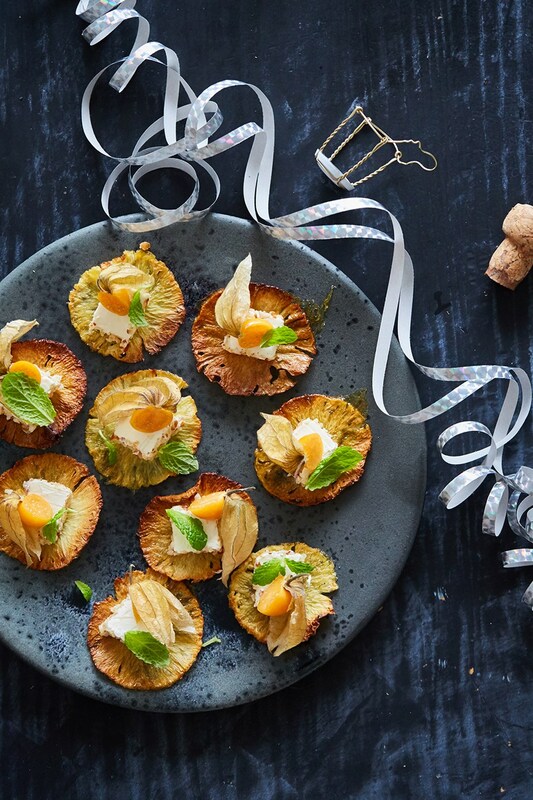 Now, everyone loves a yummy midnight snack and as New Year's Eve is a special night, why not go all in on impressive easy to make New Year’s Eve midnight snacks that will keep the party going? 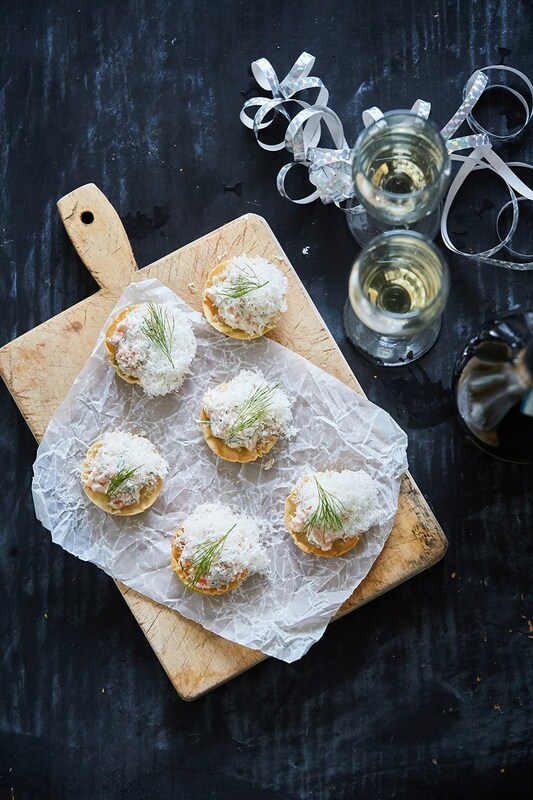 Here are 3 crowd pleasing New Year’s Eve Midnight snacks that all pairs perfectly with champagne! These crispy tartlets are made with filo pastry and only takes 10 minutes to make. Fill them with a mix of dill, Castello Matured Cheddar and salmon and you are in for a bite sized treat! 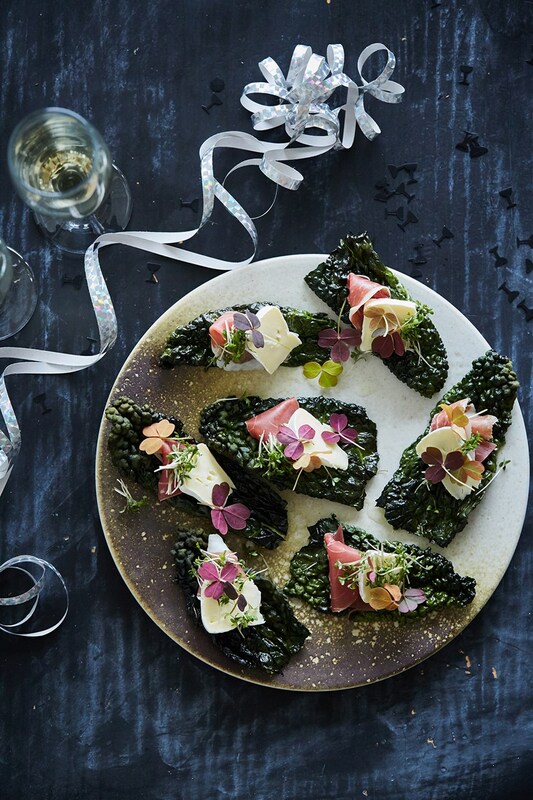 Kale chips with just the right balance between crispiness and chewiness makes the perfect base for the mild Castello Creamy White and a small slice of Parma ham! Ever tried baking a slice of pineapple? It turns into a beautiful pineapple flower that fits perfectly with the festive New Year occasion. Top it with a little Castello pineapple cream cheese and half a pineapple cherry – simple and delicious!